If you love musical theatre, you have to see at least one show on Broadway before you die. No matter how good the local theatre company shows are that you have seen, nothing compares to how tight of a performance you will see in New York City. This is the place that actors, dancers and musicians aspire to perform, and when the roles are filled only the best are selected. Also, after a show had played for a few months (or years), there are no silly mistakes and the sound is completely dialed in. It makes for a complete audio and visual experience. 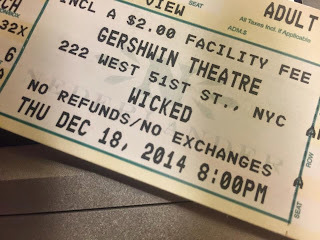 Whenever I travel to the Tri-State area, I always make a point to get into the city to see a show, and a few days ago I got to check out the legendary Wicked at the Gershwin Theatre on 51st Street in the Paramount Plaza building. This 1933-seat house is the biggest theatre on Broadway, and it is one of the newer ones, having opened in 1972. This means the seats are not as tiny, and it turned out to be a great place to see the show. 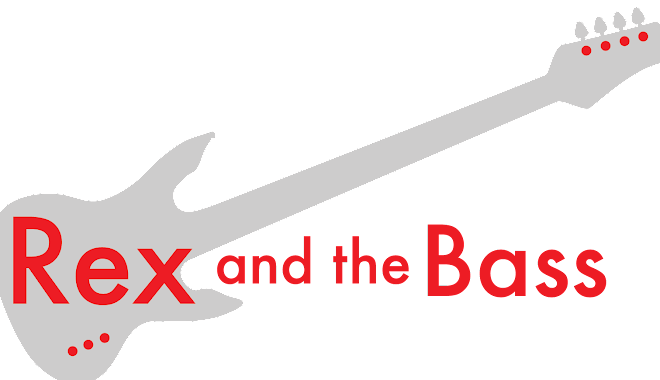 The acoustics and lines of sight are excellent, which is to be expected if you are throwing down cash for one of the best shows in town. Wicked (the Untold Story of the Witches of Oz) is based on Gregory Maguire’s novel of the same name. Grammy and Academy Award-winning lyricist and composer Stephen Schwartz found the book, and negotiated to have it made into a musical, as Universal owned the rights, and had planned to turn it into a film. Schwartz wrote the lyrics and music, and Emmy-Award winner Winnie Holzman wrote the book. The original cast had Kristen Chenoweth and Idina Menzel in the leads, and after tuning things up in San Francisco, the show opened at the Gershwin in 2003 and has been running ever since. That means over 4600 performances and close to $900 million at the box office. They planned to make the film version after the musical lost momentum, but they might need to rethink that. This show is a juggernaut! 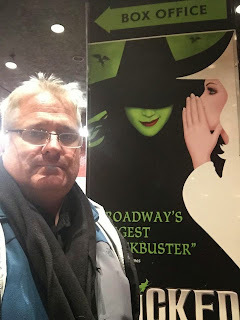 The musical provides a different perspective of the more familiar Oz story, as this one comes from the point of view of Elphaba (the Wicked Witch of the West) and Glinda the Good. It begins before Dorothy’s arrival, and continues on though bucket of water incident. There is a little bit of everything: a love story, sibling rivalry, the corruption of power, and a fall from grace. What more could you ask for? I could not ask for anything more than I got that evening – the Broadway production of Wicked was the best stage show I have ever seen. For starters, perfect actors were chosen for the leads. They did not have to rely on the age-old trick of getting a famous TV or movie actor to draw the crowds in, so they staffed the production with top-tier actors and dancers that can actually sing (sorry, Zach Braff). Caroline Bowman and Kara Lindsay earned the roles of Elphaba and Glinda, Kelli Barrett played Nessarose, Kathy Fitzgerald was Madame Morrible, Tom McGowan played the Wizard, and Matt Shingledecker took on the role of Fiyero. The 22-member chorus kept busy with costume changes, playing the flying monkeys, students, palace guards and the good-natured citizen of Oz. Their dance routines were spot-on, and nothing they did detracted from the overall show, helped in part by the flawless and innovative choreography of James Lynn Abbott. Costumes for the cast were designed by Susan Hilferty, and they capered about amongst gorgeous natural and steampunk industrial sets by Eugene Lee. The elements on the stage were innovative in the way they were introduced to the scenes and also in the way the cast interacted with them. There were also some pretty cool animated objects, but I will not ruin the surprises for you in case you have not seen the show. The visuals were rounded out by some neat projections by Elaine J. McCarthy and lighting that was designed by Kenneth Posner. Aurally, Tony Meola’s sound was perfect, as the actors voices sounded natural and were at the right volume, and the 23-member orchestra under the direction of by Bryan Perri, was mixed with the vocals so that there were no distractions and everything was balanced. That word sums this show up: “balanced.” Nothing stood out or detracted from the story. Everything element and feature was high-quality, but I did not walk away saying “Wow, the sound was good!” or “Boy, the costumes were neat!” I left the theatre thinking about what a wonderful experience I had, and not realizing that 2 hours and 45 minutes had passed (with the 15 minute intermission). For once I have nothing to complain about, and have only praise for a show, which never happens. 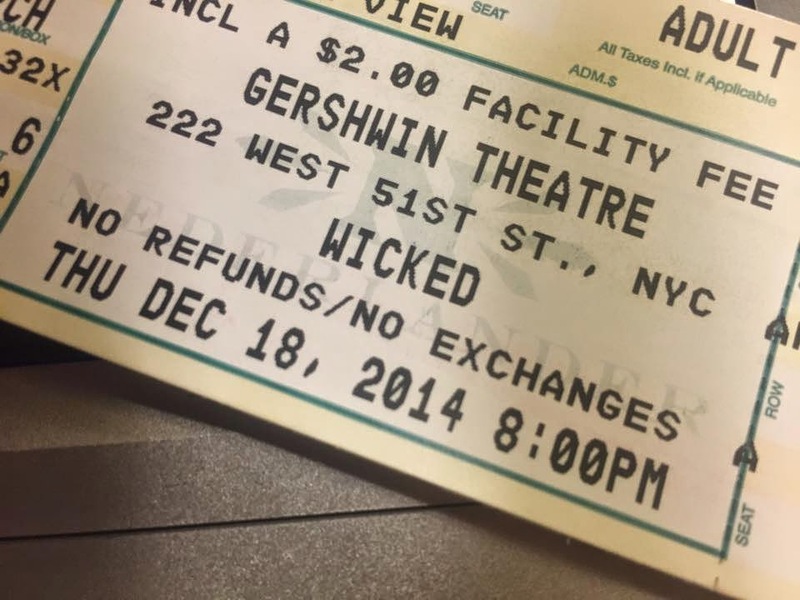 It is worth the time and effort to check out Wicked at the Gershwin Theatre if you ever make it to New York City. I know touring versions are available from time-to-time (it is actually playing in Los Angeles right now), but seeing this show will make for a magical evening. I promise!